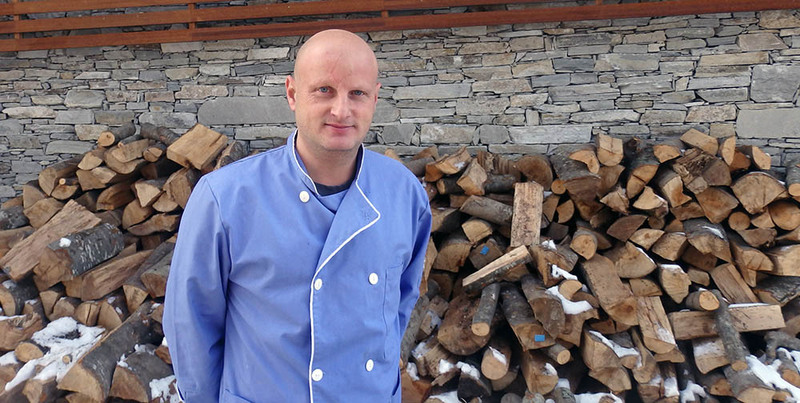 We caught up with Radostin Kucev last weekend, who is the head chef in one of Bansko’s best and most famous restaurants – Euphoria. He is there pretty much every day to make sure the food you are served is of the best quality and looks and tastes prefect. Not a simple job! It’s been 20 years since I started working in the industry as a chef. And how long have you been working for Euphoria? I’ve been working for the company for 10 years now, seasons to be exact. Here in Bansko this will be my fifth season working this restaurant. How would you compare this season to the last, in terms of the number of tourists who have visited? In our restaurant things are getting better every year, regardless of the total number of tourists that visit Bulgaria. Every year we have more work than the previous. What I do notice is an improvement of the quality of the tourists. What I mean is that they are more often looking for quality over cheaper prices, which is good. This also makes us work harder to provide the best tasting food possible. Are there any foods that are preferred by certain nationalities? The menu in the restaurant is very diverse. There is something for every nationality. For Greeks, Russians, Brits, Turks, but most of them prefer to order veal. There isn’t such a thing as British citizens only ordering fish-n-chips, while Greeks will order Chinese food. Radostin makes sure everything looks as good as it tastes. Which is the most ordered option from the Bulgarian cuisine? 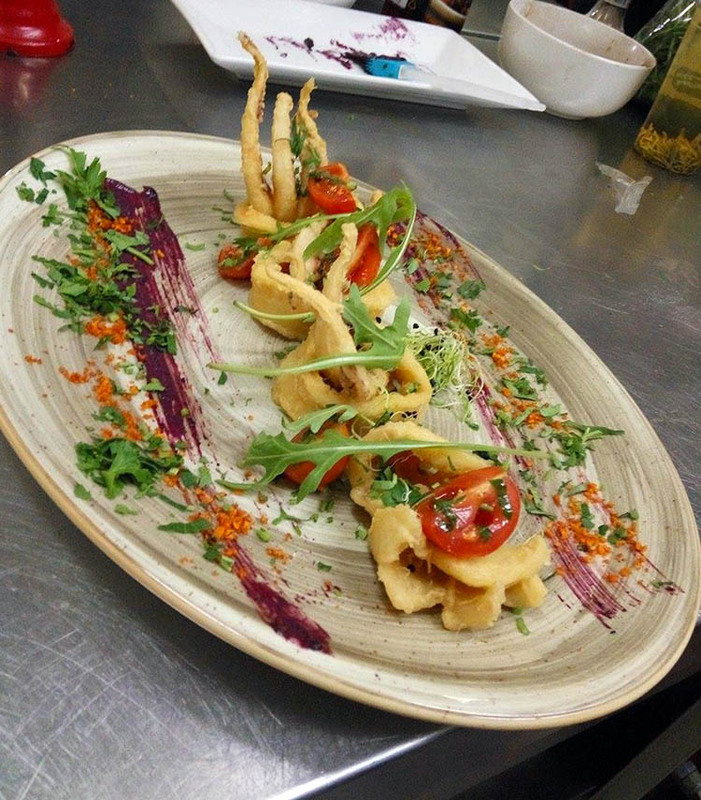 We have a part of the menu dedicated to Bulgarian cuisine. The most popular items are our skewers. We offer a wide variety of skewers with veal, lamb, chicken. Those are the most ordered. Pork Knuckles are also very popular. What is your favorite food from the menu? I wouldn’t say I have a favorite food that I can’t live without, but if I had to choose, it would be the fish. I love seafood. This is maybe due to the fact I work on the Black Sea in the summer. But if you’re looking for good sea food in Bansko, then look no further. What is the hardest thing to cook in the menu? There isn’t such a thing. We prepare what we can before hand, so that the waiting time is as low as possible for our clients. We also have a well organised staff, which helps things get done faster. But the most important thing is for everything to be delicious, we definitely don’t cut corners in that regard. What has the highest “WOW” factor on the menu? What will impress your guest the most when it is served to them? Well, I guess that would be the skewers. They look very attractive when served and taste even better. Other than that I would say the fish. Our desserts also look just as good as they taste and can satisfy any sweet tooth. You have a bunch of different cuisines in the menu, which is the most popular? The crowd favorite is definitely the veal steaks and the sea food. One of our other most popular cuisines is the Chinese food we offer. It is especially popular with the British tourists. So if you’re in Bansko and looking for tasty food, look no further. The Euphoria Bar & Restaurant is located very close to the bottom station of the gondola lift, just across the parking lot. If you know where our rental shop is, it’s right next door.